I love to bake cookies, just good old plain drop cookies. I rarely cut out cookies and when I do, the decorating is quite rustic. Rustic is the word I like to use to describe my decorating skills. The word translates to mean that while the cookies might not look good, they do taste good. So, I prefer to stick to drop cookies or cookies that I can roll into balls and bake. ﻿That's one of the things that I loved about The Cookiepedia by Stacy Adimando, published by Quirk Books. 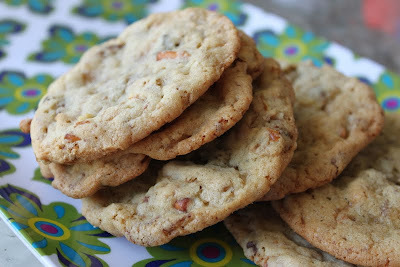 There were plenty of cookie recipes that fell into my comfort zone. ﻿The recipes are divided into six chapters: Buttery Cookies, Chocolately Cookies, Fancy Cookies, Fruity Cookies, Spicy Cookies, and Nutty and Seedy Cookies. Within each chapter, you'll find both classic and modern twists on cookies. 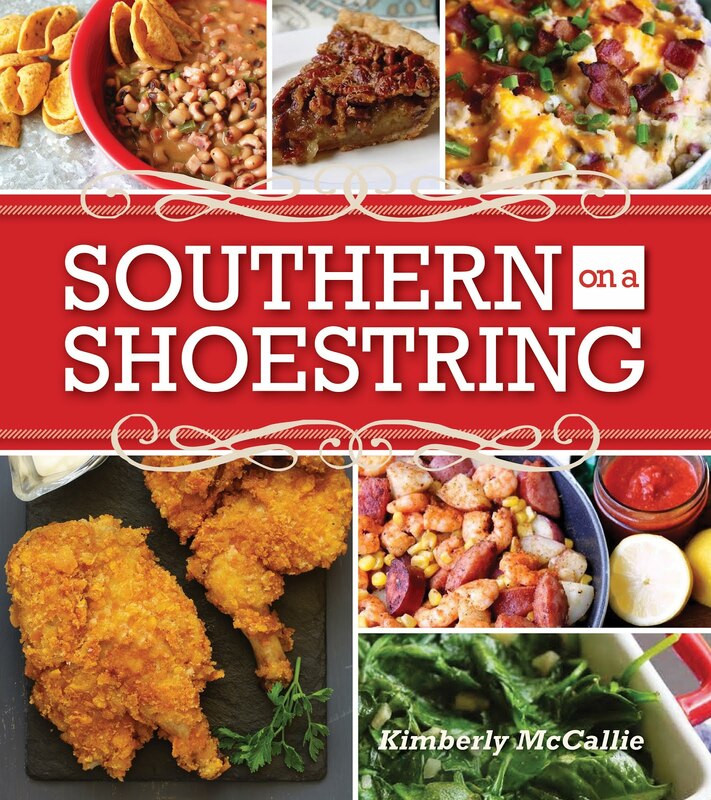 The cookbook is filled with classic cookie recipes such as blondies, old-fashioned sugar cookies, shortbread, brownies, chocolate chip cookies, madeleines, coconut macaroons, oatmeal raisin cookies, gingersnaps, snickerdoodles, and pecan sandies. These are the kind of recipes that my children love. They don't need fluff or cookie cutters. Just make some sugar cookies and get out of the way! But, for those of you who like to bake a cookie recipe with a twist, you'll be pleased with this cookbook, too. With recipes such as cornmeal cookies, mint thins, black and white cookies, lemon chewies, green tea cookies, and poppy seed squares, you'll find the perfect unique cookie to liven up your cookie tray. At the beginning of each chapter, you'll find a color photo of each cookie that is featured in that chapter. Each recipe has helpful tips for making the cookie your own or for creating variations to the recipe. There's also a little blank note section so that you can write down what variations you made for future reference. There is also a full-page color photo of each cookie, inspiring to say the least. This cookbook is perfect for both beginners and experienced bakers. The recipes are all so do-able with a few challenging recipes along the way. With this cookbook, you'll be all set to create beautiful and delicious cookie trays. Why wait for the holidays? I didn't need an excuse to make Everything-but-the-Kitchen-Sink Cookies. Line 2 large baking sheets with parchment paper and set them aside. Cream the butter and both sugars on medium speed for a few minutes, until they look light and fluffy. Add the vanilla and eggs and continue to beat on low speed until well combined, scraping down the sides of the bowl as needed. In the meantime, whisk together the flour, baking soda, baking powder, and salt. Add the dry ingredients to the wet mixture in two batches, beating slowly after each addition, until fully incorporated. Pour your sweet mix-ins into the bowl. Break up the salty snacks into smaller cookie-friendly pieces and dump those in as well. Use a spatula to stir them together. It should look like a ton of mix-ins. That's good. Portion 2 heaping tablespoons of dough at a time into imperfect balls and place them at least 2 inches apart on the lined baking sheets. Bake, rotating sheets halfway through, until cookies are golden brown, about 16 to 18 minutes. Transfer to a wire rack to cool. Kim's Notes: For my add-ins, I chose chocolate toffee bits for my sweet add-ins and crushed pretzels as my salty add-ins. The author provides a large, surprising list of add-ins that would make for some interesting flavor combinations. I think I've just found another recipe to add to my "must make" list. I love salty and sweet together, and the toffee bits and pretzels sound like they would be a great combination! these are really good....woderful recipe. They look so delicious & tempting! I love pork rinds. The salt and pepper ones are my favs. I'll bet they would work well, too. Thanks for the idea.